Show some fan love in your home every day! 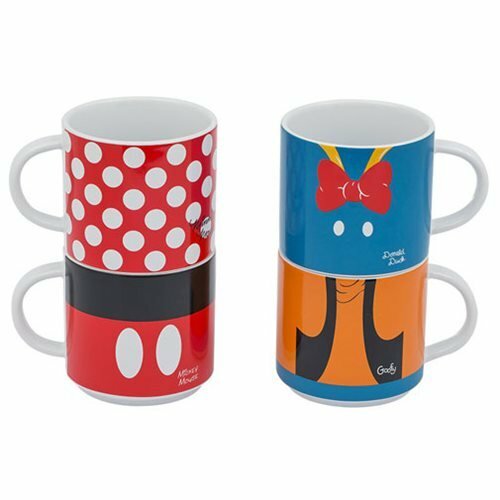 Disney's Mickey Mouse and Friends can now hang out on a fantastic set of stacking mugs. Comes with 4 mugs! Hand wash only. Microwave and dishwasher safe. Each mug holds up to 10 ounces (295 ml) of fluid. Each mug measures approximately 3 1/4-inches tall by 4 1/2-inches wide (including handle). Ages 13 and up.